In preparation for the hearings before the Weld County Planning Commission and the Weld County Board of County Commissioners in the summer of 2015, CLR-34 conducted extensive research and engaged consultants with expertise on key aspects of the proposed Martin Marietta Materials (MMM) aggregate processing facility. The findings were compiled into a report submitted to Weld County. Part 1 of the report is an introduction to the issues and an assessment of compatibility of the MMM project with surrounding land uses. Part 2 of the report examines the likely traffic impacts and assesses the traffic impact study submitted by MMM. To request a copy of Part 2, please email clr34na@gmail.com. Part 3 of the report examines the likely impacts on farms and water quality, property values, and health, and it includes a response to MMM’s report on environmental impacts. To request a copy of the Part 3 chapter on farming and water quality impacts, please email clr34na@gmail.com. 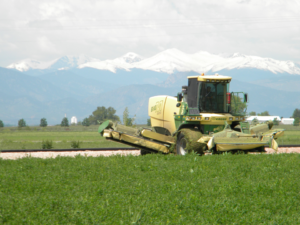 Although this information did not deter Weld County Commissioners from approving MMM’s USR application, it became an important part of the record and aided CLR-34 in appealing the approval. Read about the appeal. PLEASE support CLR-34 NA efforts to preserve our environment and quality of life. Note that CLR-34 NA is a 501c4 organization, and donations are NOT tax deductible. CLR-34 NA includes residents and small businesses fighting for the environment and quality of life near US34 and WCR in Weld County, CO. In battling Martin Marietta Materials and dysfunctional government processes, we’re citizens making a difference. On this website, we’re sharing material that may be useful and seeking your support.